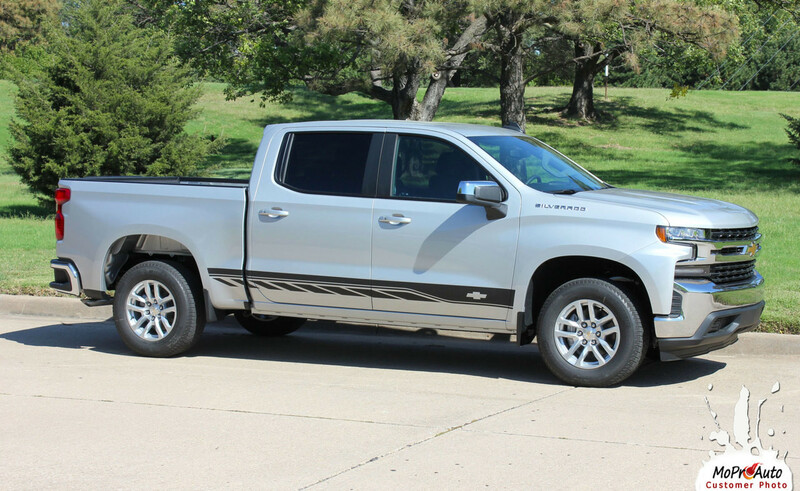 - Fits up to 147.4" or 156.9" wheelbase or less with trimming on install. The MoProAuto Original! 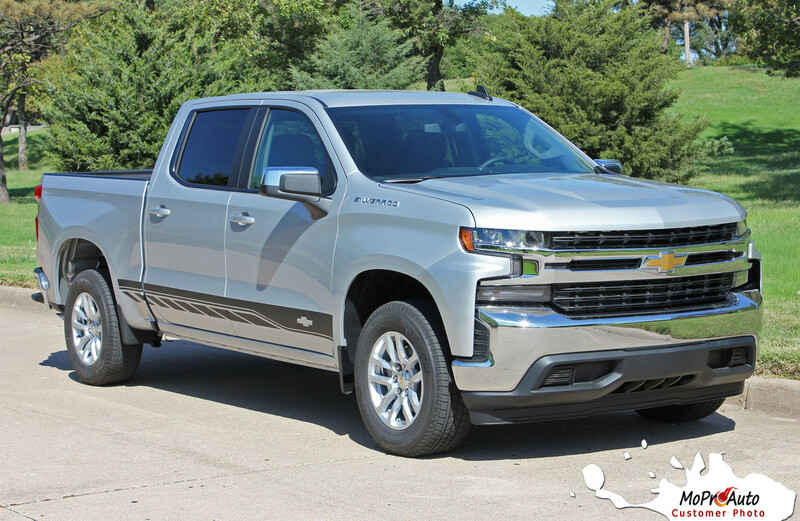 This Chevy Silverado lower rocker panel stripe kit is a fantastic OEM style upgrade for the newly redesigned Silverado model! 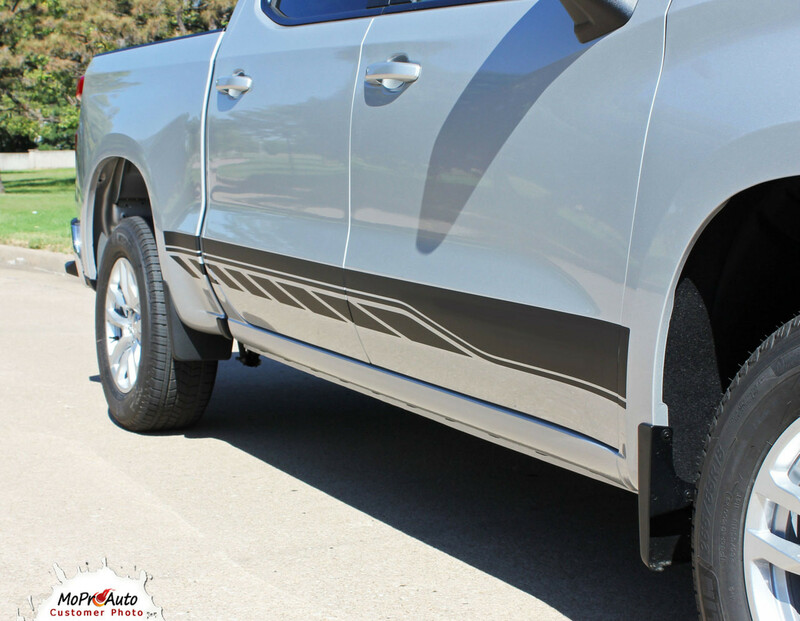 These kits are used by automotive dealers and professional restylers across the country. 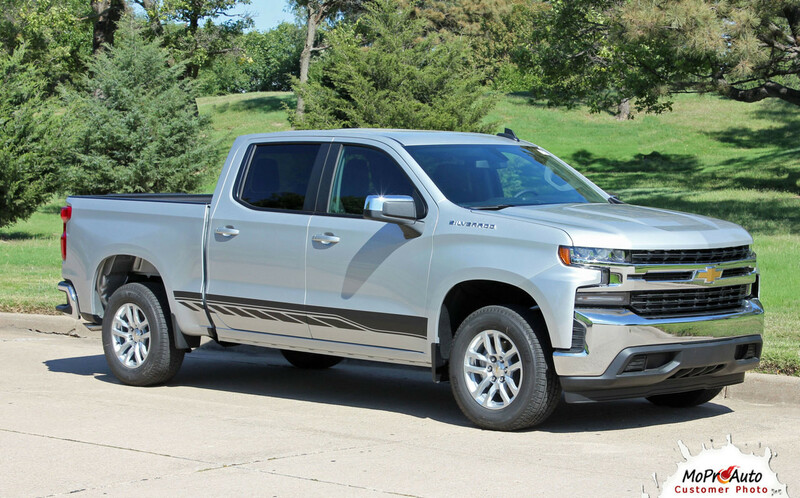 This vinyl stripe is a lower door rocker panel stripe designed for the 2019 2020 2021 Chevy Silverado. 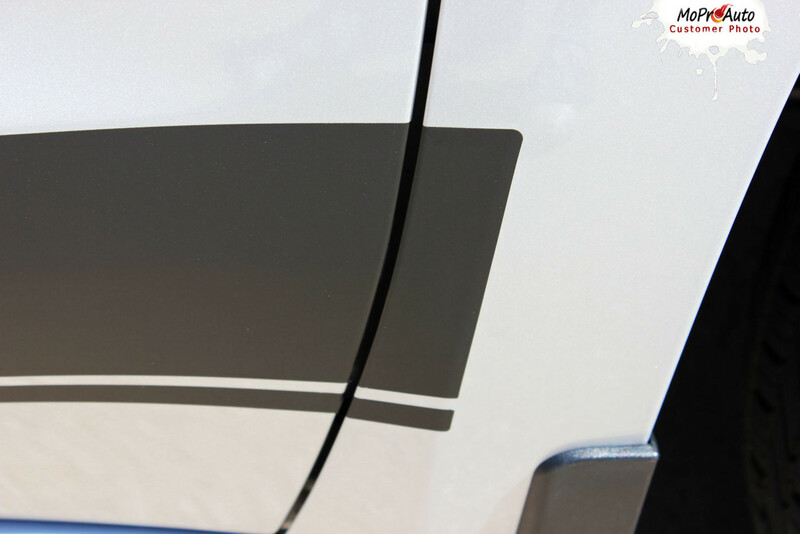 The vinyl graphic sections included with this vehicle specific kit are the driver and passenger vinyl graphic decal sections. 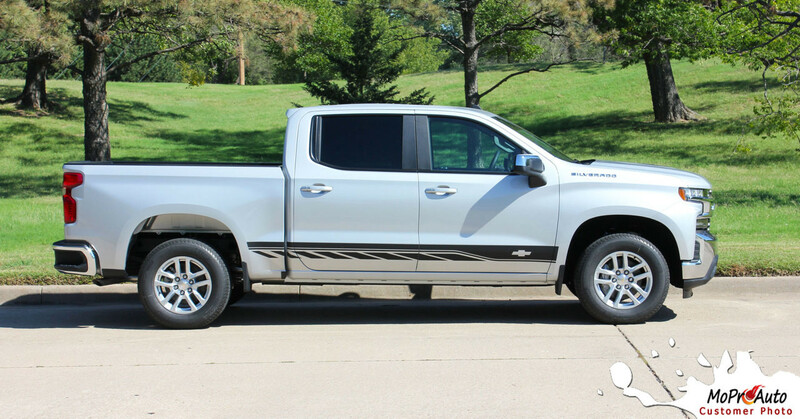 Choose the options needed from the menu, including the premium cast vinyl grade. 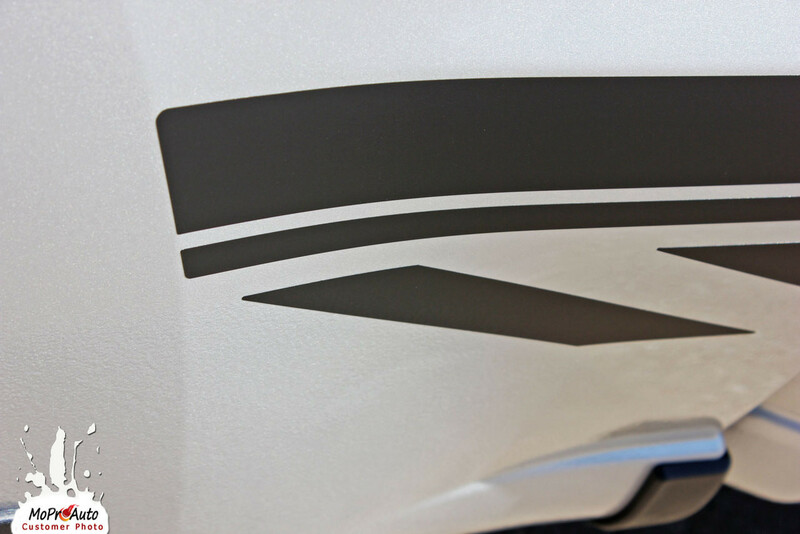 Excellent Fit Every Time : Each vehicle specific MoProAuto Pro Design Series Vinyl Graphic Kit is pre-cut to fit, designed and, test fitted, and sold to auto dealers before being made available to the general public, for a perfect fit with little to no trimming needed. 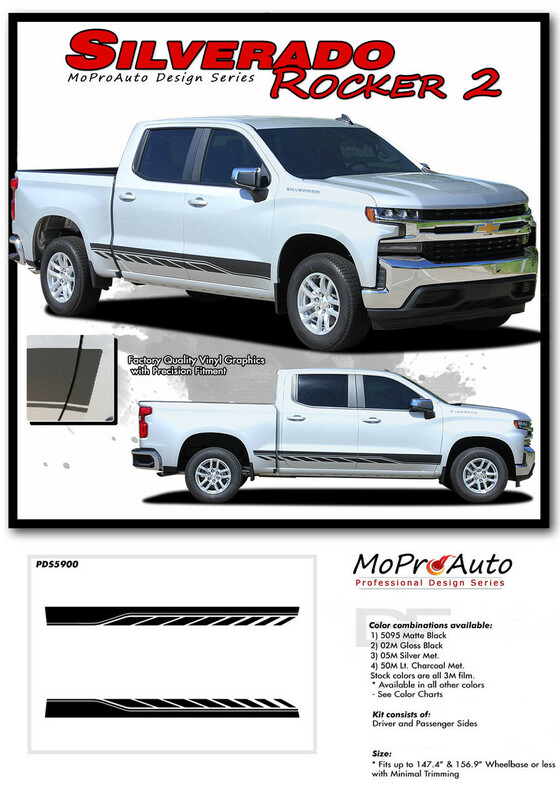 Application Fitment : These professional quality MoProAuto Pro Design Series Vinyl Stripe Kits fit Chevy Silverado from 2019 2020 2021 model years.